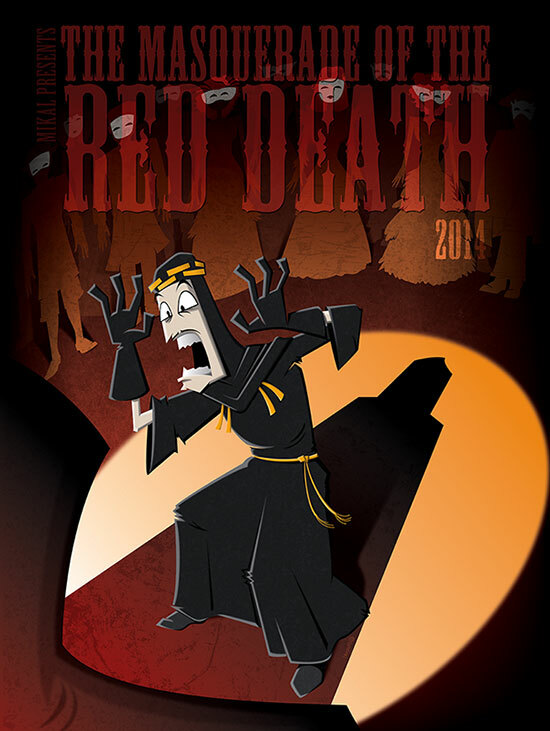 Limited Edition - The Masquerade Of The Red Death 2014 Poster, large size, 18"x24", designed by artist Steve Czapiewski. Autographed copies are sold out, but you can still get the poster, while they last. Just $18, shipping included!